​Arsenal manager Unai Emery has explained how he wants the Gunners to play this season as he prepares to take charge of his first competitive fixture since succeeding Arsene Wenger. 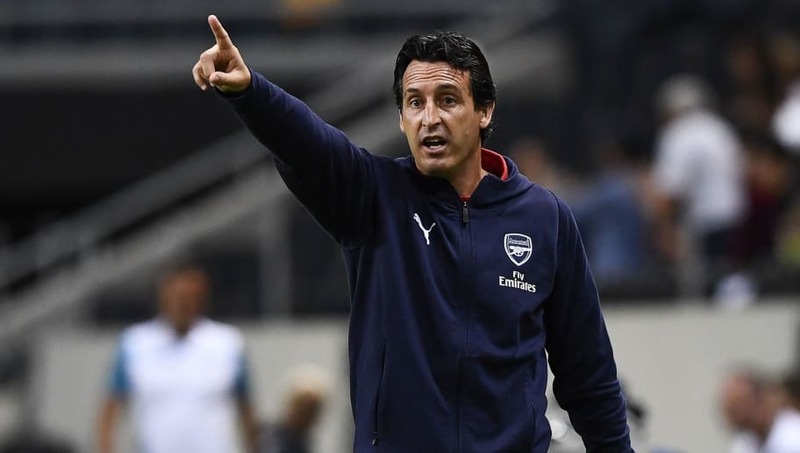 With Arsenal to host reigning Premier League champions Manchester City in the season opener on Sunday, Emery could be in for a baptism of fire. But the new boss has a very clear idea of how he wants his team to play that will no doubt please fans. "Our style with the ball is to be protagonists, to do things with combinations, to control the match with the positioning of the ball. And then when we have the space, to be aggressive going forward," Emery told Sky Sports. "Defensively: first it is to be organised, recover the ball quickly. But in these two moments in the match we need to work. To say it here is easier than doing it on the pitch. We also need time, but now I am happy because I think the players are improving. "We need two things: quality players, which we have, and then organisation. Together I think we can improve, to win in our way. I repeat: organised, then play." Emery wants to create an environment where the whole club performs as one, that means goalkeepers thinking about attacking then the team has the ball and attackers thinking about defending when the opposition is in possession. "Each player has this quality, this characteristic to help the team as a collective. For me, that is very important," he said. Arsenal finished sixth in the Premier League last season and two-time Premier League champions Nwankwo Kanu recently declared that it would take a 'miracle' for the Gunners to immediately challenge for the tile this season. For now, Emery is simply looking to build an identity and improve. After that, his desire win - not quenched by three Europa League titles with Sevilla or five major domestic trophies in two years with Paris Saint-Germain - his take hold. "Success is to improve, grow up, build one team with personality, and then I want to win," he said. "I want to do it one way with this personality, enjoying with our supporters. We are looking in this way, one team with a passion, with a quality, organised, and in this way we are near to winning in the future."